It is estimated that approximately 57% of people aged 65 and over wear some kind of denture. Moreover, sleep appliances are also used by millions of people to alleviate symptoms associated with sleep apnea. Sadly, denture and sleep apnea patients are likely to develop denture sores at some point. The good news though, is that discomfort is easily treatable. Why do Denture Sore Spots Happen? 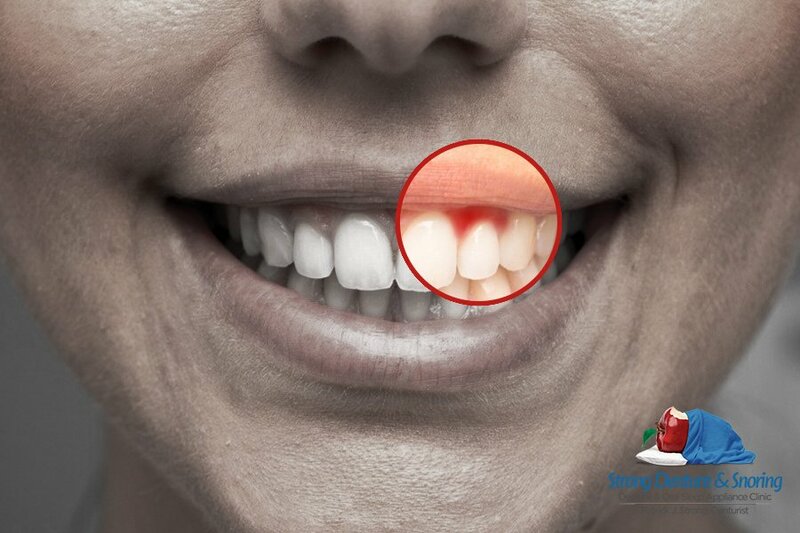 Denture sores occur due to rubbing of dentures against exposed gum areas. In sleep apnea patients, denture sores can be a particular problem. This is because many sleep apnea patients subconsciously grind their teeth while sleeping. More jaw movement means that denture sore spots occur more frequently. Worse, when left untreated, denture sore spots can lead to gum inflammation and infection. When Should Denture Sores be Brought to the Attention of a Denturist? Most people who start wearing dentures or oral sleep devices for the first time will experience dental sores and slight inflammation. Thankfully, where dentures are correctly fitted and molded, discomfort will usually subside as wearers wear in devices. Conversely, dentures cutting into gums should always be brought to the attention of a denturist. Persistent sores and sensitivity (lasting more than a few weeks) should also be properly investigated. In most cases, the easiest way to prevent dental sores involves using a denture adhesive. Alternatively, a denturist may be able to create a cushion which sits between dentures and exposed gum areas. In both of the above cases, adhesives and denture liners prevent dentures from moving and slipping. This prevents sores and inflammation and is the number one way to avoid denture sores when wearing a full denture. If denture adhesives aren’t suitable for your situation, you may want to consider a more natural solution. One way to alleviate gum pain and inflammation brought about by dentures is to rinse your mouth with warm salt water regularly. Remove dentures and add 1 tbsp of salt to a glass of warm water. Rinse your mouth thoroughly and wait for discomfort to reduce before reapplying dentures. Alternatively, denture and sleep apnea patients can apply Aloe Vera gel to dentures. This helps lubricate and moisturize gums and reduces the effects of denture rubbing. While getting used to a new denture, massage can help reduce inflammation and discomfort in gums. However, if the treatments outlined so far don’t reduce pain, there are other options. As sleep apnea and denture specialists in Windsor, we know that denture sores and associated discomfort can be a particular blight to sleep apnea sufferers. Thankfully, on request, we can look at the possibility of prescribing pain relief creams and medications. These can reduce pain quickly, resulting in better sleep quality. All you need to do if you are experiencing problems is let us know.